Today it was announced that Scream Queens had been cancelled after two seasons. It had kinda been on the horizon for a while and Lea Michele had left to film a new comedy pilot so its prospects never looked good but I’m neither surprised or that disappointed that it’s been axed. As I have previously discussed, I have a serious love/hate relationship with Scream Queens but I have been really enjoying the last few episodes. This week the double-bill finale aired and it was awesome, except for the fact that Lea Michele ruined the identity of the Red Devil on Twitter, and not enough of the main cast were killed off as Ryan Murphy had teased. I look forward to every episode of Scream Queens because I think it is exciting TV, it is a perfect combination of horror, comedy, cheese and parody and has an amazing cast. Yet, after most episodes, I’m left feeling a bit letdown because it fails on so many fronts. There have been a load of trailers dropping recently, but here are my top three that I have seen this week and am so excited for. I’ve finally managed to watch the last two episodes of Glee EVER. I had been ready for the end for a while and since about season four, I had been saying it should end soon so I’m glad they decided to end it before it got too ridiculous (it was certainly heading that way!) and the ending was perfect. 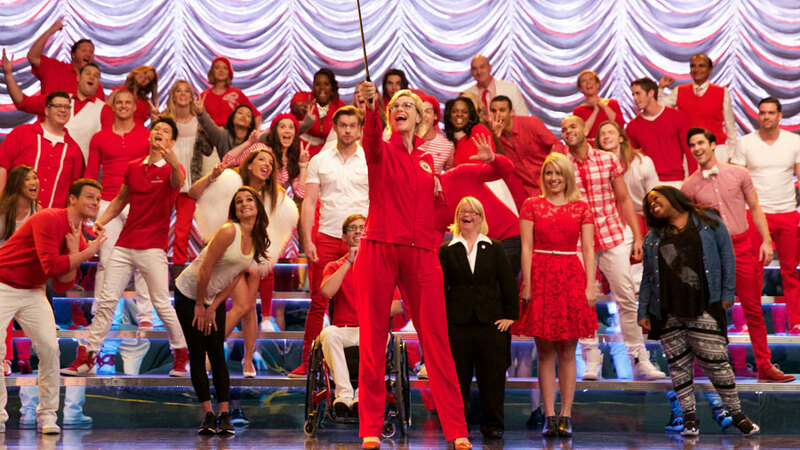 Usually, when a show I love ends I find many things wrong with it but it was brilliant – the future lives of the Glee club made sense, the dedication to Finn Hudson/Cory Monteith brought me to tears and the future for Will Schuester and New Directions was sweet too. Last night, the stars come out in LA for the Teen Choice Awards, supposedly voted for online by teenagers (although reports today suggest the show’s producers may change the winner at their discretion). One Direction, Divergent and The Fault in Our Stars were the big winners of the night, but of course, all eyes were on the red carpet. Some of these outfits are so spot-on. A clear theme was the crop top and Taylor Swift and Chloe Moretz stand out by totally nailing the trend. Nobody is terrible to be honest, there were no huge shockers but there were some that just weren’t at the same standard and didn’t float my boat. 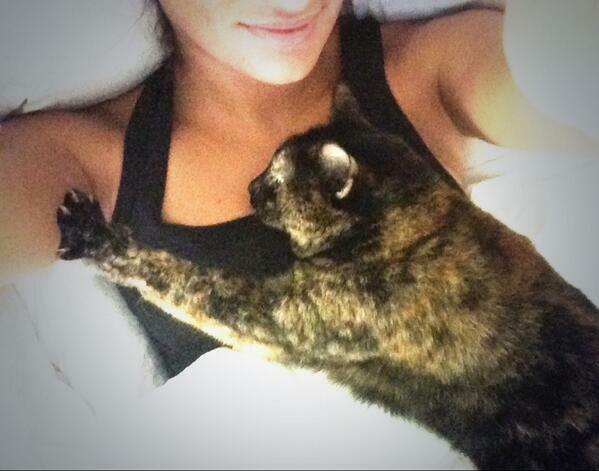 Lea captured her cat having a little snuggle. How cute! Cheryl looked stunning as she arrived in Cannes. She was there as part of her role as L’Oreal ambassador, as was Eva- who looked amazing too! Cheeky! You may recognise this guy as Jonathon Bennett, who played Aaron Samuels in Mean Girls. 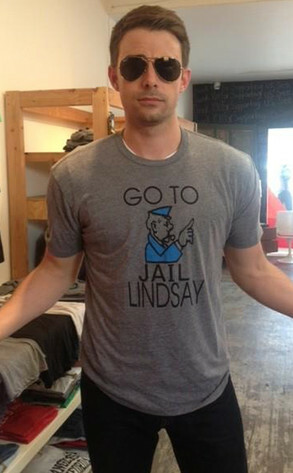 He is telling Lindsay to go to jail. OH, BURRRRRN! Miley seemed to have a crazy late-night session of trying on wigs! She seemed to be loving her activity, tweeting: “2 am Wig FUN” and “Why am I up at 3 wearing my @NICKIMINAJ wig loving life”. More to the point, why does she own a Nicki Minaj wig in the first place?! She looks crazy! How stunning does Jennifer Lawrence look here with Liam Hemsworth and Sam Claflin?! I love her hair! The trio were promoting Catching Fire at the Cannes Film Festival. Check out JLaw at the afterparty. Cory Monteith is out of rehab! Cory Monteith was spotted at LAX airport with girlfriend Lea Michele yesterday- so he must be out of rehab! 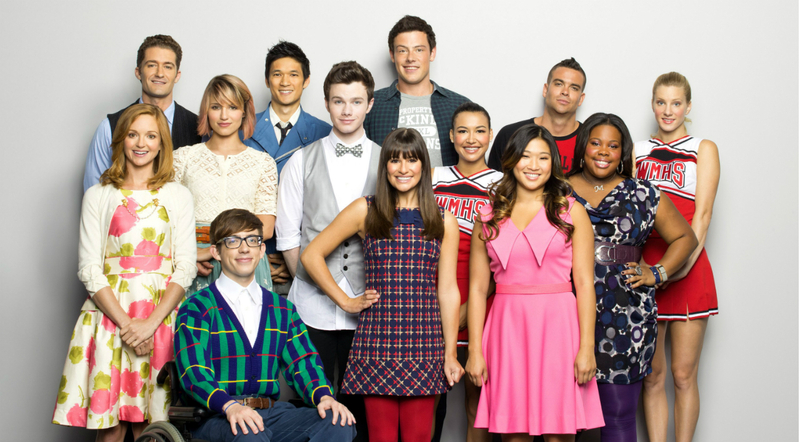 The Glee star went to a treatment centre for substance abuse on April 1st after he suffered a relapse. He left yesterday and judging by these exclusive pictures from E!, he looks very well. Since the season of Glee is now finished, it would seem the pair are heading off for a much-needed holiday. It just such a shame we couldn’t see a Finchel reunion at the end of season four! Bless him! Everyone from friends, family, fans and cast supported him and that obviously helped him get better so soon. He really does look healthy and I’m so happy that our cute Glee couple are reunited!